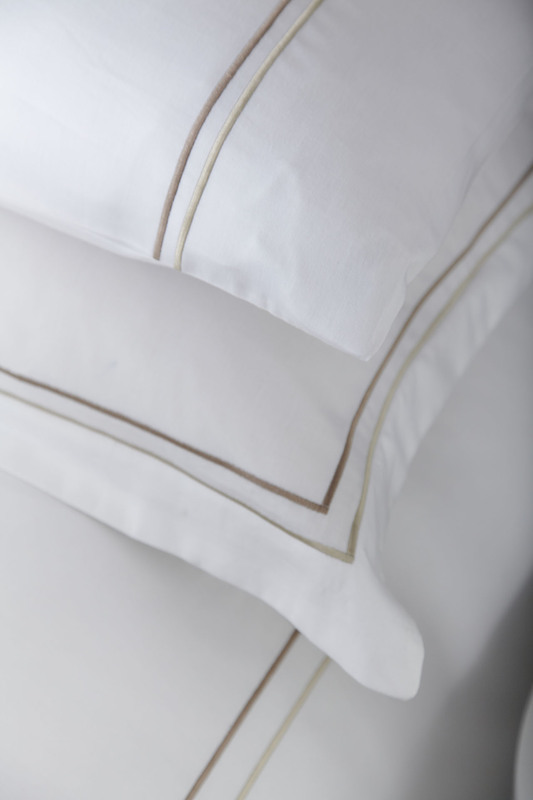 The Charlotte Thomas “Mayfair” hotel collection features a twin-line embroidery stitch in chocolate & gold. 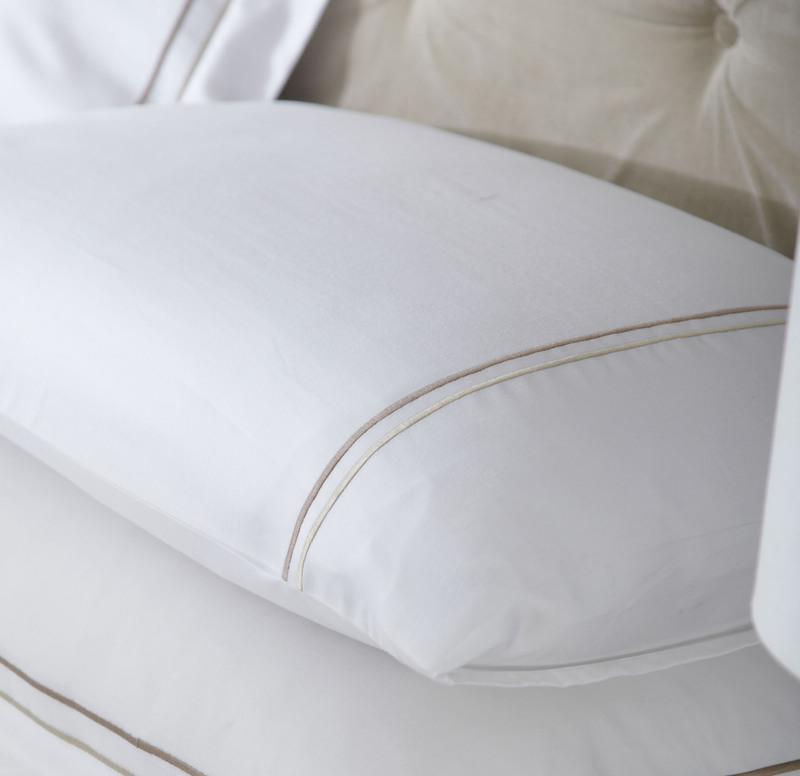 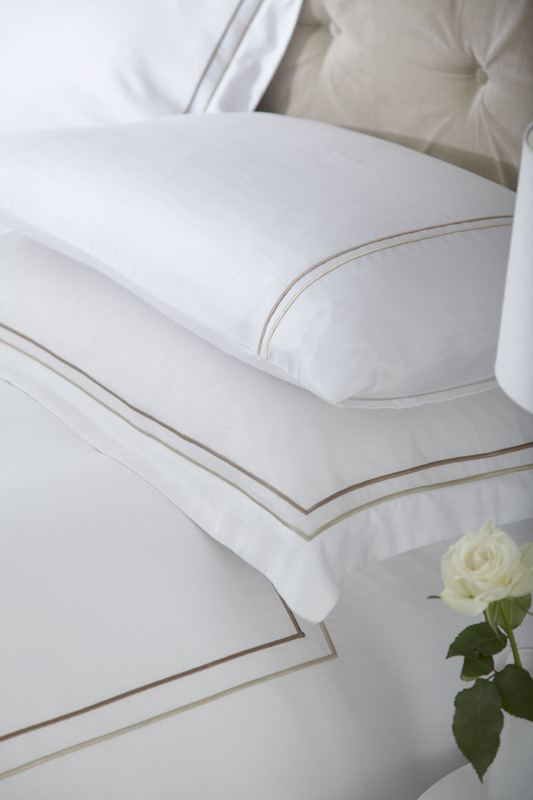 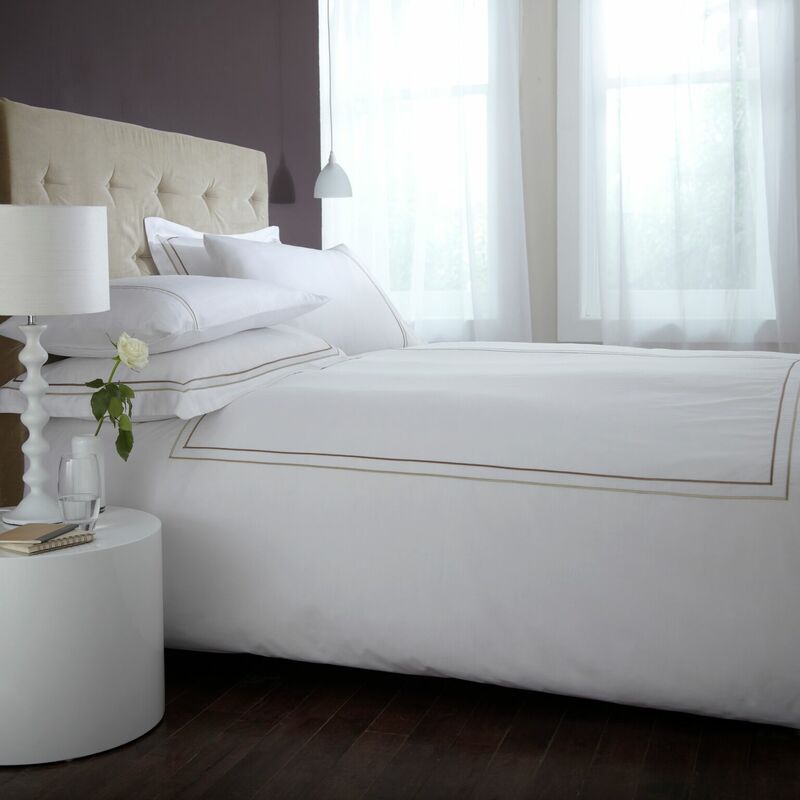 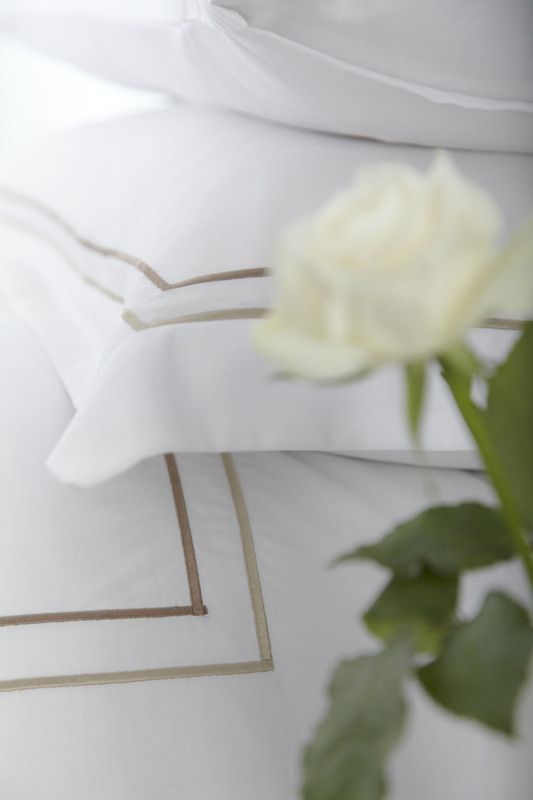 Classic bedding made from a luxurious 200 thread count 100% cotton percale. 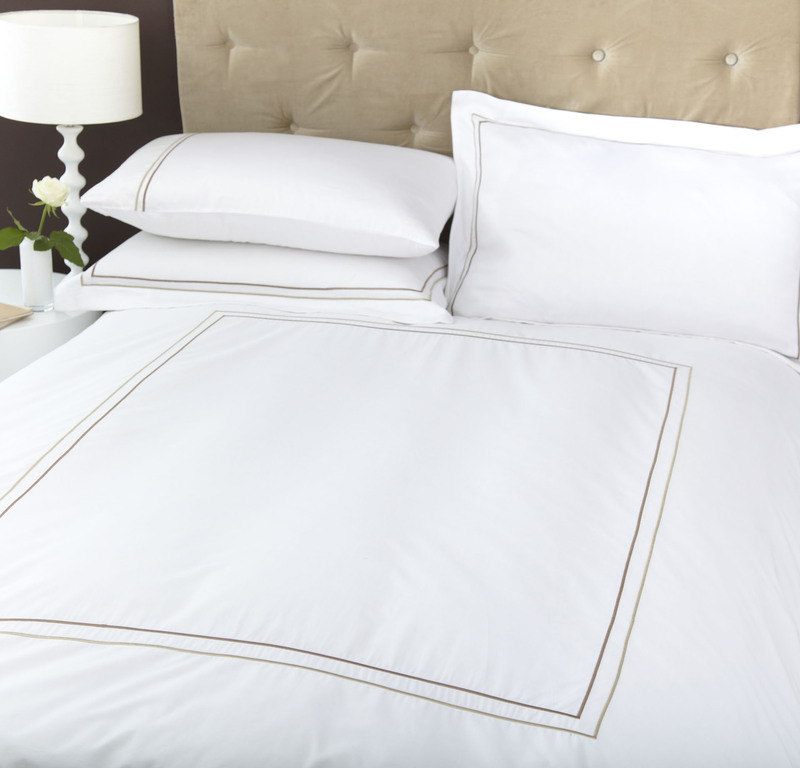 T200 100% cotton percale. 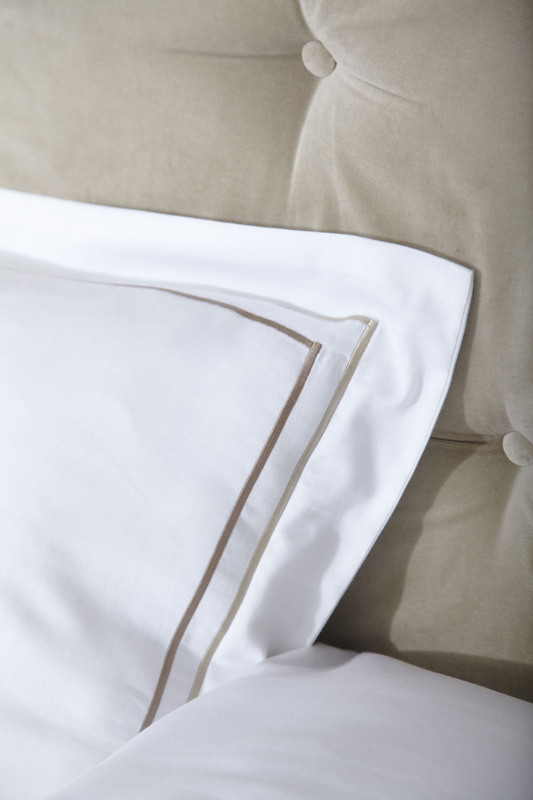 Duvet cover: button fastening.